The Williams School’s College Counseling program values the individualism of each of our students. The Williams School provides superior preparation for higher education. The College Counseling Office, in turn, offers students and families both expertise directly from the world of college admissions as well as individual attention and support as they navigate the college search and application process and the transition to university. Our focus is on relationship building and fit. We take pride in knowing our students and the environment that will help them continue to grow as a scholar, individual and community member, local or global. Mass. Coll. Of Pharmacy/Public Health Sci. College Counseling Associate Dana Clark recently traveled to Scotland to visit two colleges and here she shares her findings with students interested in exploring education abroad. 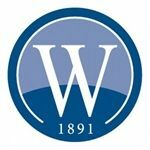 On Monday, February 25, from 5:30-6:30PM, parents of Upper School students returning to Williams for the 2019- 2020 school year (current 8th - 11th graders) will have an opportunity to learn about the course selection process. Starting in January, Williams students will have the chance to take an SAT/ACT Prep class. Next Tuesday, October 9th, Williams will be hosting over 100 colleges and universities in our two gyms. This is a reminder to contact Jackie Lefebvre by Monday, October 8th at the latest if you are interested in having your child take the Pre-ACT, which will be held on Friday, October 19th. Enjoyed my visit to Penn today!